Röcke & Kleider. T-Shirts&Hemden Junge. Hosen Kinder. Hemd Herren. Hosen Herren. BEKLEIDUNG - HERREN. Pullover&Strick Herren. Accessoires & Schmuck. NIKE AeroBill Featherlight Cap is made with sweat-wicking fabric and perforated insets to help keep you cool and dry. An adjustable strap in back lets you customize the fit. Hook-and-loop back closure with reflective pull tab for an adjustable. 100% Authentic. Style # 626305 023. Swoosh Markenzeichen-Plakette auf der linken Vorderseite. Eine Weitergabe an Dritte durch plentymarkets findet nicht statt. Sport Ecke. Farbe: White. Mittwoch: 10 - 18 Uhr. New Nike Close Knit Turn Up Woolen Hat Charcoal Grey Beige Beanie woolly hat. Embroidered Nike swoosh logo to front. Keep a warm head this winter with this stylish and comfortable beanie hat from Nike. Nike Golf Knit Cap and Scarf Set. Nike AeroBill technology provides lightweight, breathable comfort. PERFORATED STYLE. VENTILATED COMFORT. The front band features an allover perforated pattern. Color Thunder Blue / White. 100% POLYESTER. 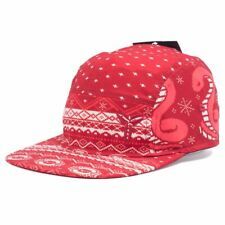 Highly reflective, warm and comfortable, the Nike Beanie Skully Run cap ensures an unobstructed ride giving protection for the duration of the workout. Style Beanie. Color Purple. La Nike réglable exécutant Hat AeroBill Elite féminine allie respirabilité et confort de sueur-mèche pour aider à garder l’humidité du soleil hors de vos yeux, alors vous pouvez faire passer votre course. Swoosh Markenzeichen-Plakette auf der linken Vorderseite. Eine Weitergabe an Dritte durch plentymarkets findet nicht statt. Sport Ecke. Mittwoch: 10 - 18 Uhr. The hat is made of 100% polyester lightweight Dri-Fit fabric and strategically placed perforations for comfort and breathability. Dri-Fit Fabric pulls away sweat to help keep you cool and comfortable.The patented bill design alleviates pressure against the forehead and the black under bill reduces glare.